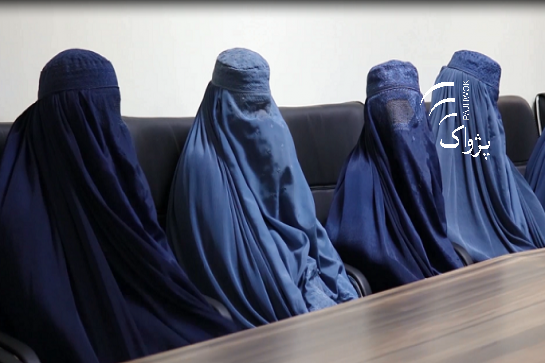 SHARNA (Pajhwok): Some women’s rights activists in southeastern Paktika province on Sunday demanded protection of their rights during and after the peace efforts process. Gathering in Sharana, the provincial capital, the women urged the warring parties to stop killing their husbands, children, brothers, and relatives. Haya, a women rights activist, told Pajhwok Afghan News, women suffered the most in the ongoing conflict because they were helpless. She said women lost their husbands, brothers, sons, fathers and other relatives in the ongoing conflict and they deserved more attention. Kubara Mohammadi, another rights activist, said the Afghan women were tired of the war and they wanted peace in the country – a peace which could protect women’s achievements and freedom. Meanwhile, Shir Bad Shah Urugoni, the deputy governor, also stressed women’s participation in the upcoming peace talks. He said 30 percent of the Consultative Loya Jirga participants would be women invited by the Afghan government as part of its commitment to women’s rights.